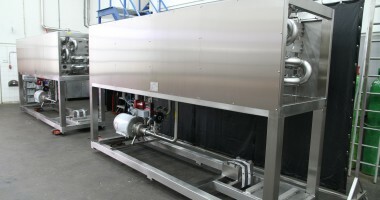 Shell and tube heat exchangers are used for the pasteurization of a product. Basically there is a lofator a “heating-“, “holding company” and “cool-” section. In the heating section of the product by means walled piping warmed after which the holding-section, these are insulated pipe is kept hot and can unwind. 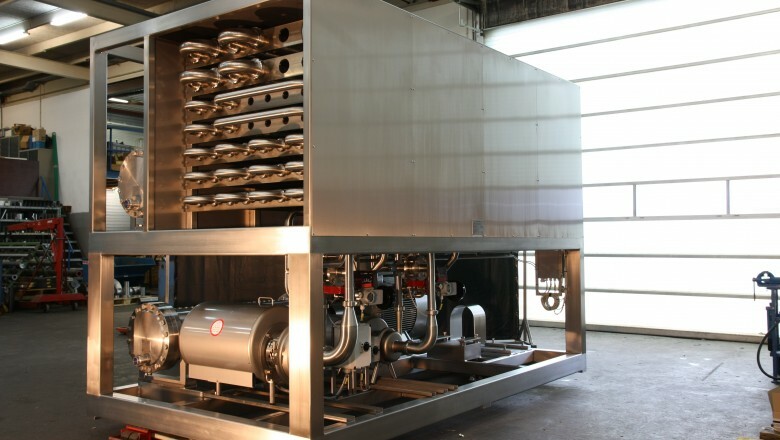 In the double-walled cooling-section, the product is cooled again in order to be further prepared. There may also be a “rework” section to the tubular heat exchanger is added to re-use the product of the packaging machine. It is also possible to add to the tubes “static mixers”, which makes the product evenly comes up to temperature. The tubular heat exchangers can be made in any desired composition. The number of tubes in each section may be different, and also the choice of the diameters of the tubes is free. If you seek more information regarding our shell and tube exchangers, please go to our contact-us page for our contact information.